Palmerbet Sports Team’s Premier League Preview has EPL Tips for every match of Week 23, headlined by an Arsenal V Chelsea blockbuster. Final Thoughts: Positions in a tight mid-table logjam could get shaken up when 11th-placed Wolverhampton host eighth-placed Leicester, with just two points separating the teams. But Wolves are coming off back-to-back scoreless losses to Crystal Palace (2-0) and Man City (3-0) – a disappointing slide since their momentous 3-1 upset of Spurs in Week 20. Meanwhile, since rolling Chelsea and Man City in consecutive rounds, Leicester have been upset by Cardiff and Southampton at home either side of an away win over Everton. Leicester chalked up a 2-0 home win in Week 2, as well as an away victory on penalties in League Cup action a month later. The Foxes have won three and drawn two of their last six away games. But their underachieving efforts against bottom-half teams make the draw a more attractive option here. Final Thoughts: After a rocky holiday period, West Ham were one of the big winners of Week 22, stunning Arsenal 1-0 at home. The boilover moved Hammers into ninth and was their sixth win in nine games. Bournemouth, who rode high in sixth spot for much of the opening 10 weeks, are in a big hole. Their 2-0 loss at Everton last weekend was their ninth in 12 games – and they’ve conceded 14 goals in their last four outings. Bournemouth are unbeaten in their last four against West Ham, winning two. The Cherries prevailed 2-1 away when the teams met in Week 2. Bournemouth have two wins and a draw from their last four at home, but West Ham have won three of their last four on the road and provide solid value as underdogs. Final Thoughts: Liverpool bounced back from their blockbuster 2-1 loss to Man City – their first of the season – in modest fashion, maintaining their four-point Premier League led with a 1-0 win at Brighton. The Reds needed a 50th-minute Mo Salah penalty (his fourth goal in five games) to secure the result. Crystal Palace are 14th but only four points clear of the relegation zone, despite upsets of Leicester and Man City prior to Christmas. They lost home games to Chelsea and Watford either side of a 2-0 win at Wolverhampton in the past three rounds. Liverpool have won six of their last seven against Palace, including a 2-0 victory on the road in Week 2. But Palace have managed three upset wins in their last four visits to Anfield. Liverpool have won their last six home games by a combined 16-3, and Palace will find it difficult getting on the board at Anfield. Final Thoughts: Manchester United’s remarkable revival under interim manager Ole Gunnar Solskjaer has lifted them to level with fifth-placed Arsenal and just six points shy of the coveted top four. United’s 1-0 win over Tottenham at Wembley was their fifth in five games since Solskjaer stepped into the breach, outscoring their opposition 15-3. Brighton, who sit 13th, are doing enough to stave off relegation danger for now. They banked draws against Arsenal and West Ham after Christmas either side of a win over Everton, but were edged 1-0 by Liverpool last weekend. Brighton have become something of a bogey team for United recently, scoring king-sized upsets at home in their past two clashes – 1-0 late last season and 3-2 early this season. But they have never won in nine visits to Old Trafford. United’s momentum and renewed defensive vigour should be far too much for Brighton to handle. Final Thoughts: A massive showdown in the context of the relegation battle, with 17th-placed Cardiff City sitting just one point above Newcastle United. Newcastle have won just one of their last nine games, sliding back into the bottom three after consecutive losses to Man United and Chelsea. They would love to bank three points here with matches against Man City and Spurs to come in the next fortnight. Cardiff have turned themselves into a competitive outfit, winning five of their last 13 games. They have chalked up a win and two draws in their past four outings, but would have hoped for better than a nil-draw with Huddersfield at home last weekend. Finding the back of the net remains an issue, scoring just once in their last four games and posting a total of just six in 10 away fixtures this season. Cardiff boast just one win and one draw in their last 12 encounters with Newcastle, though they did hold the Magpies to a scoreless stalemate at home in Week 2. With two of the three least prolific scoring teams squaring off, a solitary goal could well be enough to win this one. Final Thoughts: Southampton jumped out of the bottom three with a crucial 2-1 win at Leicester in Week 22. It was the Saints’ third victory in six games and came on the back of a scoreless draw at Chelsea. Improving at home needs to be a focus, however – they have won just one of 10 games at St Mary’s Stadium. Everton are 10th and could be in outright seventh by the end of the weekend, but their results have been all over the shop recently. The Toffees have lost four of their last six, going down to Brighton and Leicester by 1-0 scorelines before putting away Bournemouth 2-0 last weekend. Everton chalked up a 2-1 home win over Southampton in Week 2, but the Saints progressed in the League Cup at the Toffees’ expense with a penalty shootout success six weeks later. The sides can barely be split head-to-head, which makes and Everton line-up with more upside a tempting bet. But Southampton have been solid of late and should be able to secure another valuable point. Final Thoughts: Watford are aiming to hang onto their ‘best of the rest’ status in seventh spot, while Burnley are looking to continue an impressive resurgence. Watford have lost just one of their last seven (to Chelsea) and followed up back-to-back draws against Newcastle and Bournemouth with a 2-1 win at Crystal Palace in Week 22. But the Hornets’ only wins in their last eight at home were against lowly Huddersfield and Cardiff. After mustering only three wins in the opening 19 rounds to sit 18th at the halfway mark, Burnley have banked three straight wins over West Ham, Huddersfield and Fulham. They seemed to have rediscovered the defensive grit that underpinned last year’s overachieving campaign, conceding one goal or less in five of their last seven games. Watford romped to a 3-1 away win in Week 2 over Burnley, atoning for losses to the Clarets at home and away last season. But Burnley bring a bit more momentum and confidence into this clash and are definitely worth a nudge as big underdogs. Final Thoughts: The marquee showdown of Week 23 sees Arsenal and Chelsea both searching for a bit of breathing space from surging Man United. Arsenal have lost three of their last six games and are bristling from a 1-0 loss at West Ham last weekend. Uncertainty around Mesut Ozil’s future at the club will be doing little for the Gunners’ bid to regain form and consistency. Fourth-placed Chelsea are unbeaten in their last four games, albeit through a relatively soft section of the draw. They had a scoreless draw at home to Southampton in Week 21 before edging Newcastle 2-1. Defensively they have been solid but the Blues have scored a modest 13 goals in their last 11 games. Chelsea ended a six-game winless run against Arsenal with a 3-2 home victory in Week 2, courtesy of Marcos Alonso’s 81st-minute winner. But the Blues are hunting their first victory at Emirates Stadium in three years. No clear favourites stands out to us with both sides short of their best lately, but the under holds decent value. 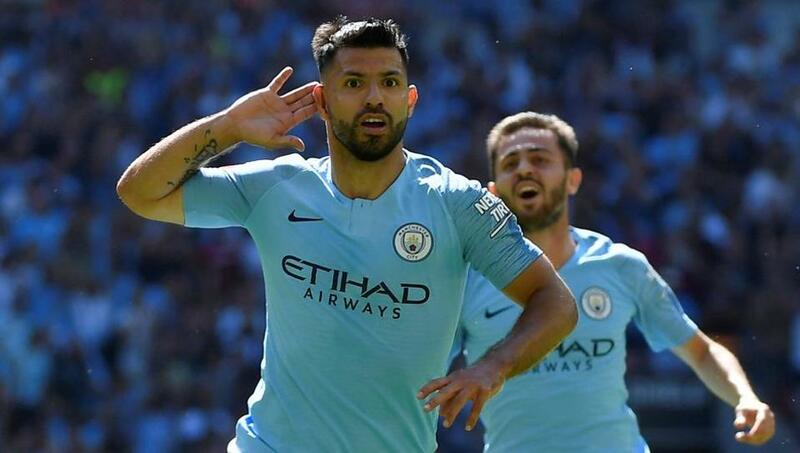 Final Thoughts: Emerging from a run of three losses in four games, Man City again look intent on keeping the acid on league leaders Liverpool. The defending champs followed up their 2-1 defeat of the Reds with a 3-0 shutout of Wolves last week. Huddersfield, meanwhile, have plummeted to last spot. They ended a run of eight straight losses by holding Cardiff to a scoreless draw on the road in Week 22. But they have scored just five goals in their past nine games in a league-low season total of 13. Huddersfield held their own against all-conquering Man City last season, going down 2-1 at home and holding the champs to a shock nil-all draw at Etihad Stadium. But the Citizens racked up a 6-1 home win earlier this season, with Sergio Aguero bagging a hat-trick. Anything but a similarly sizeable City win would surprise given Huddersfield’s struggles at both ends of the pitch. Final Thoughts: Third-placed Tottenham’s hopes of staying in the EPL title race have taken a couple of significant blows in recent weeks, going down to Wolves (3-1) and Man United (1-0) either side of a 3-0 win over Cardiff in their last three. Harry Kane is battling injury niggles, while Son Heung-min is unavailable on Asian Cup duty. Fulham have their own troubles at the other end of the ladder, however, mired in the bottom three for the past 14 weeks. They currently sit 19th – five points from safety – and have suffered away defeats to Arsenal (4-1) and Burnley (2-1) since the calendar flipped over into 2019. But they will take confidence from their record of two wins and two draws in their last five home games. Tottenham have won 10 of their last 12 against Fulham, including a 3-1 success at Wembley in Week 2. Spurs are cautiously-priced favourites and they shape as solid value at Craven Cottage, despite their recent dip in form.